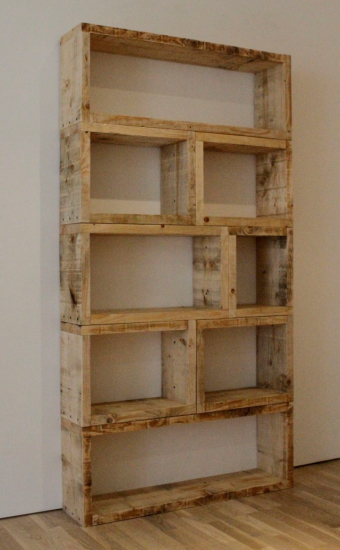 Out of Curiosity: Reclaimed Wood & Pallet Projects? This morning I featured ten headboard designs that you can make from reclaimed wood (barn wood, pallet wood, fence boards) or new wood (if you don’t have access to a big ‘ole pile of old wood). I happen to love the look of naturally worn, weathered wood. 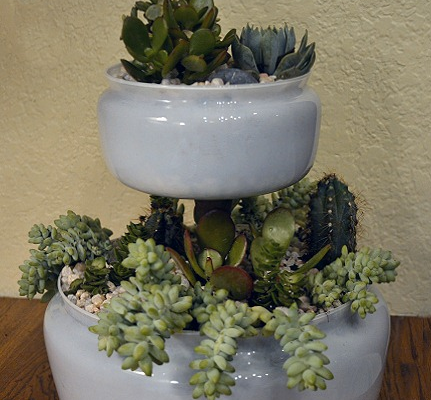 I think it can go with so many different styles, and really add a down-to-earth feel to a room. But what about you? Do you like this look as well? So what do you think about all of this reclaimed wood business? Are you like me, and loving every bit of it? Or do you think it’s gone a little too far? Have you seen enough, or do you want more? Do you think this is just a fad, and one day these people are going to wake up and regret having covered their walls, ceilings, and more, in old weathered wood? Or do you think this is more than just a trend, and it’s here to stay? I like the look of reclaimed wood. You’ve chosen some great pictures (great work on your coffee table too). Reclaimed wood is great to use; especially in rooms where you’ll be spending a lot of time. It’s nice to have something there that’s endured time and space (and all the bumps along the way!). Kristi- I like the look and the idea. As a property manager, I see so many pallets hauled off at our property’s expense and think about what could be done with them. I find these uses practical, affordable, functional and attractive to boot! Keep showing us how to get it done and keep making it chic! I LOVE the look and the great projects you have made or found and shared. Do I think it is a passing trend? Yep! But it will probably be another 5-7 years before everyone is through with it. Until then…we will enjoy all the ideas. Thanks! I LOVE that cart and am pinning it after I comment. Personally, I can’t get enough of reclaimed wood. I know all the good spots in my town to pick up good wood pallets. I have raided (with permission) trailers from contractors who are renovating homes and I even pulled off the highway to pick up a large pile of awesome boards that fell off a truck. They were filthy, I was in a skirt and heels, but they now sit on top of my patio farm table. It is my favorite piece of furniture. I definitely don’t want it to go away, if anything, I would love to see more projects and more ideas. I think this is about as “green” as we can be when it comes to furniture and I love the look too. I LOVE these new trends where re-using stuff is chic. For frugal people like me, I hope it stays for the long haul! Jasanna, I’ve actually never done a pallet project, so I’m not sure about the details. I do know that you have to be careful about the woodl and how it’s treated, and seal it very well when your project is finished. There are entire sites dedicated to pallet projects, so I’m sure they would have the information about safe handling. As far as where to find them, I’ve seen them at many local retailers and companies, especially piled behind the store by the dumpster area. I think there are lots of stores out there that get such an abundance of shipping pallets that they would be happy for you to take some of them off their hands. When it comes to fence boards, you have to be careful of the same thing. I used cedar boards for mine, which are untreated. However, if you find old pine fence boards, those will surely be treated, and you have to handle with caution, e.g., wear a mask (not the cheap kind, but the really good kind) when cutting and sawing, be VERY sure that every remnant of saw dust is removed from the area, and seal the project really well when finished. 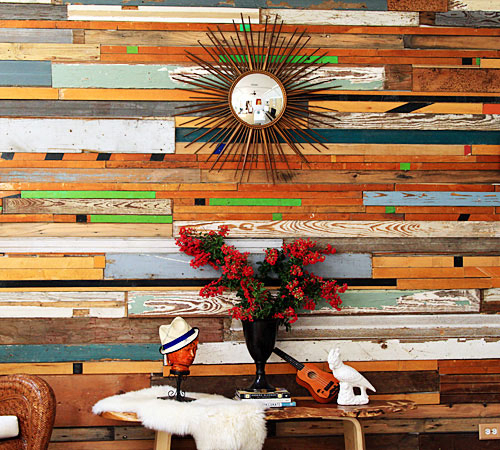 Love all of these ideas on using old wood. Makes me think I should go back to my trade show storage facility in NYC and ask for a few pallets to take home! 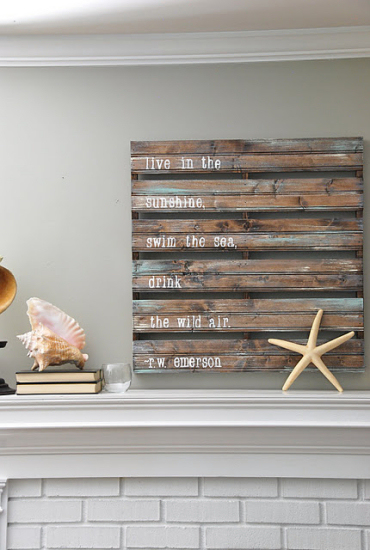 I think an element or two of reclaimed wood is wonderful– it’s green decorating and adds warmth and texture to a space. 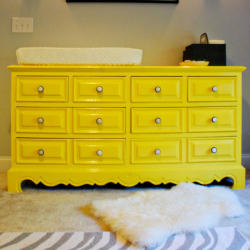 I love the variety of projects floating around out there, but I wouldn’t go overboard with it in my own home. I too am wondering where one finds pallets. And do they contain chemicals? Thanks for the info. I like the idea – in moderation. I think some go too far or are too ‘clunky’ looking. I love the table and think that would be an excellent yard table – a few nice adirondack chairs, that table, some candlabras hanging from a tree. As a decorating style trend, I think it’s going to run itself out soon. It was big in the 70s to use pallets for decorating/furniture only they weren’t re-done as well then as they often are now. I love them for outdoor projects but in my house, not so much. I love the look but…… It doesn’t make sense to me in many applications. How do you keep it clean? As I re-do things in my home one of my prime considerations is decreasing the maintenance time. A large scale pallet application like a wall or even a headboard would have to be vacuumed regularly to keep the dust off and I know myself. It wouldn’t get done often enough. Anyone know of any shortcuts? 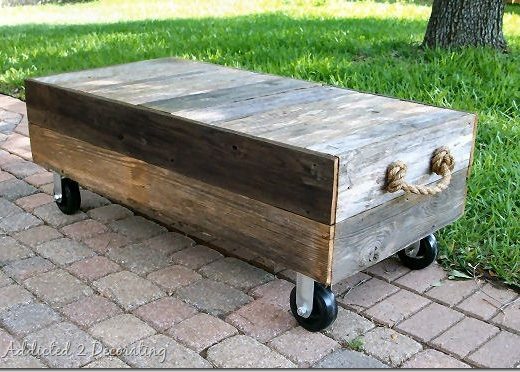 That said, I may succumb and build and industrial style coffee table because I do love the look!